After upgrading to the latest version, few users experienced sudden data loss of their personal files. As reported on Reddit, the user tried to search over the files everywhere but didn't find those. Other users also started reporting the same as they found the data files missing after upgrading to Windows 10 October 2018 Update. 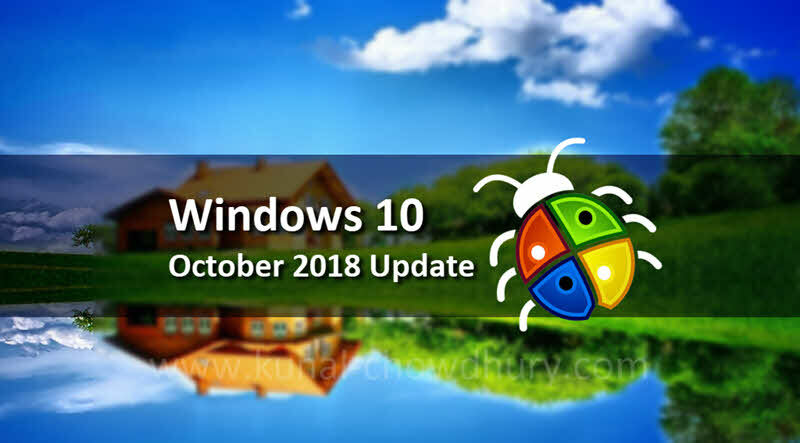 Though this issue has been affected to a very low percentage of users, but for the time being, the Windows 10 October 2018 Update is officially no longer available for download from Windows Update and its media creation website. At this moment, there's no word from Microsoft on when the update will be available again. If your system got impacted and none of your files are available, here's a good new for you. Microsoft now has a tool to recover your deleted files and get you back to a good state. If you have already upgraded to the latest feature version of Windows 10 and experienced the file deletion issue, please call Microsoft directly at +1-800-MICROSOFT or find a local number in your area. You can also contact them over chat at https://support.microsoft.com/en-us/contactus. Microsoft also suggests not to do an installation if you have already downloaded the ISO using the Media Creation tool until a new media is available. If the problem is big, they may have to create another RTM build and roll it out to the users. If you have come this far, it means that you liked what you are reading (BREAKING: Windows 10 October 2018 Update has been pulled by Microsoft due to some critical issues).